Join us for another "Fun with Wine and Paint Class" on May 14th, from 2 to 5. I will be teaching how to paint this beautiful painting of a single Tulip. 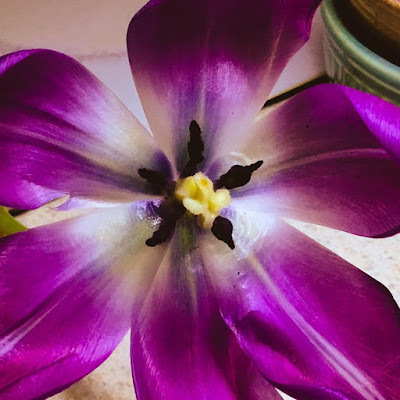 I will be demonstrating this painting of a single Tulip in several color versions, so you can paint it in purple, red, orange, pink or yellow. All instruction, and materials are included. We will also be serving some wine, sodas, and snacks.